Another Christmas story today, this time from Mexico. Pepita didn’t know what she could give, so she picked a small handful of weeds from the roadside and made them into a small bouquet. She felt embarrassed because she could only give this small present to Jesus. As she walked through the chapel to the altar, she remembered what Pedro had said. She began to feel better, knelt down and put the bouquet at the bottom of the nativity scene. Suddenly, the bouquet of weeds burst into bright red flowers, the first poinsettia, and everyone who saw them were sure they had seen a miracle. From that day on, the bright red flowers were known as the ‘Flores de Noche Buena’, or ‘Flowers of the Holy Night’. Tomi dePaolo retells the story in The Legend of the Poinsettia, which you can find on Amazon. People tend to like symbolism when it comes to our Christmas traditions. The shape of the poinsettia flower and leaves are sometimes thought as a symbol of the Star of Bethlehem which led the Wise Men to Jesus. The red colored leaves symbolize the blood of Christ. The one with white leaves represent his purity. And a bit of history. The poinsettia was made widely known because of a man called Joel Roberts Poinsett. He was the US Ambassador to Mexico in 1825. Poinsett had some greenhouses on his plantations in South Carolina, and while visiting the Taco area in 1828, he became very interested in the plants. He immediately sent some of the plants back to South Carolina, where he began growing the plants and sending them to friends and botanical gardens. One of the friends he sent plants to was John Barroom of Philadelphia, who gave the plant to his friend, Robert Buist from Pennsylvania. 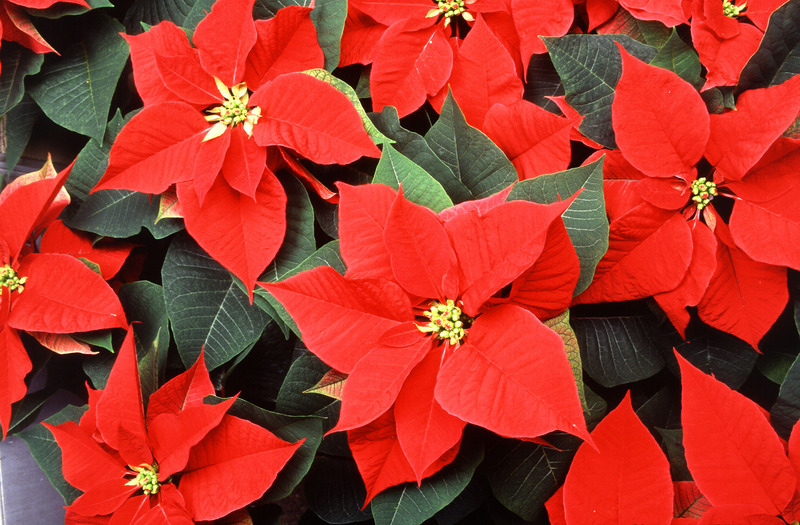 Robert Buist was probably the first person to have sold the poinsettia under its botanical name, ‘Euphorbia pulcherrima’. It is thought that they became known as Poinsettia in the mid 1830s when people found out who had first brought them to America from Mexico. And that’s our trivia for today.